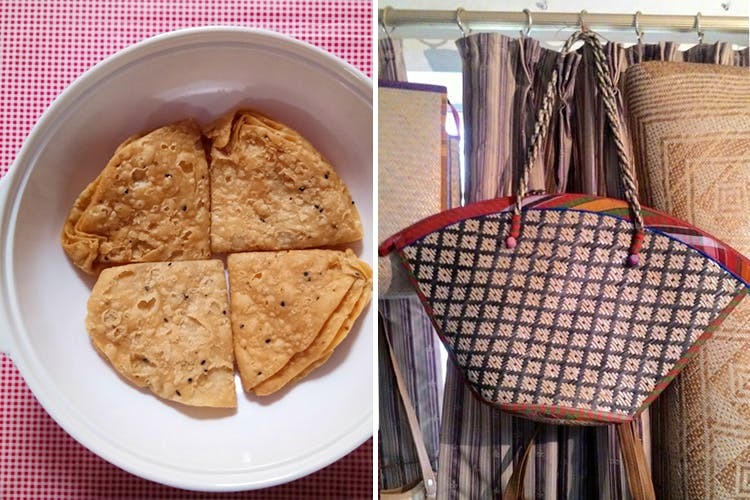 Bong Haat, touted to be India’s first-ever Bengali online shopping destination, has got the best of authentic groceries, homemade snacks, clothes and magazines that Bengal has to offer. It’s also a platform that lets Bengali entrepreneurs (including a 30-something Bong mother who makes the best homemade Khasta Nimki) sell their products and earn online. If you’re someone who can’t get enough of authentic Bengali sweets or wants to cook authentic Bong dishes only with 'real' Bong ingredients (think Gandhoraj Lebu or aromatic Bengali lime), Bong Haat will be your saviour. A Delhi-based company, Bong Haat started about two years ago with an intention to meet the demand for Bengali apparel and groceries particularly for the homesick Bengali community in Delhi. Today, it’s got products of more than 50 regional brands listed on their website and delivers these to more than 6,000+ pin codes across the country. As a result, they've found customers who are not just Bengalis but people from other ethnicities too. This website caters to a variety of product categories like Bong handicrafts, tea and snacks, books and magazines, spices, homemade condiments and more. They stock a lot of seasonal products like date palm jaggery (Khejur Gur) and palm candies for summer as well. Plus, they've got subscription boxes with spices, Bengali namkeen (INR 600), Bengali dal (INR 575) and even magazines (think Sananda, Aanandalok and the like). The fresh Puri Khaja (INR 225), their Aam Sotto (INR 125) and the Jhal Mishti Combo (namkeen, papri & more) are some of the many things that are going on our cart. While their website might not have the best-looking user interface and while some products there might be more expensive than the usual, Bong Haat still does serve its purpose and has maintained a loyal fan following. Oh, and they’ve got Bengali Chanachur (namkeen) and Bengali Bakery Basona Biscuits. Enough said.